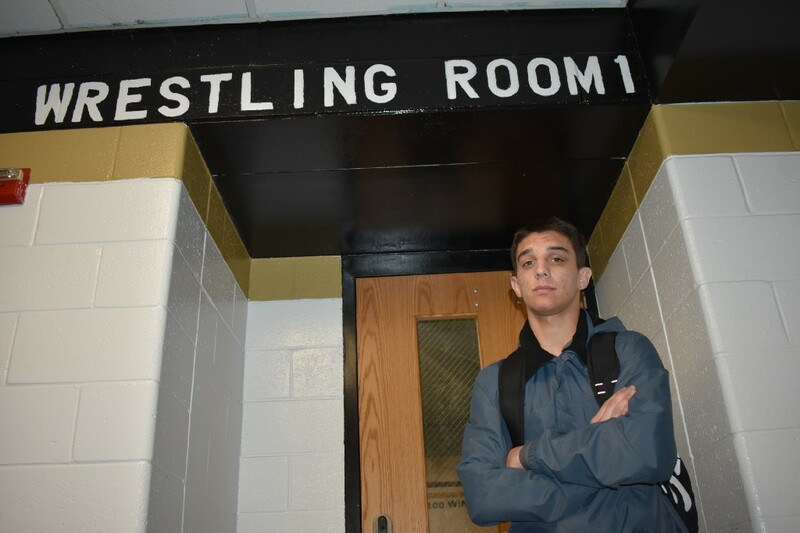 Burlington Township senior Craig Cook took a perfect 33–0 record into high school wrestling’s individual postseason, with dreams of Atlantic City dancing through his head. Burlington Township wrestling coach Don Lintner looks at the progression of Craig Cook’s high school career and is bullish on how he thinks the final three weeks of the senior’s final prep season will play out. Lintner caught himself and laughed. Cook, after all, was 33–0 heading into wrestling’s three-week individual postseason, beginning this Saturday at districts. Cook is pretty confident, too, which is important in a weight class arguably as crowded as any other in South Jersey. Cook, a defending district champ who has made it to Atlantic City (site of the state finals) in two of his first three high school seasons, is wrestling this year at 138 pounds with the likes of Delran’s Bryan Miraglia, Camden Catholic’s Anthony Croce, Paulsboro’s Jacob Perez-Eli, Kingsway’s Cheney Kinner, and Cherokee’s Cooper Pontelandolfo. And that’s just South Jersey. If you plan on wrestling at AC’s Boardwalk Hall at the beginning of next month, you’re going to have to get through JoJo Aragona of Pope John, who won the prestigious Beast of the East tournament earlier this season. Cook doesn’t look ahead. He focuses on whomever he’s meeting next on the mat, not on who he could be facing in two or three weeks. But he’s also grown up quite a bit since advancing to the states as a freshman three years ago. Cook’s path from young wrestler to becoming one of the best in the area has been about as quick as riding in the front car of Great Adventure’s El Toro. He didn’t even begin wrestling until he was in sixth grade. Three years later, he was advancing to take on the state’s best in Atlantic City. Although he’s wrestling the final few weeks of his high school career in the 138-pound weight class, Cook has moved up as high as 152 pounds throughout the season to both help his team in dual meets and help himself face the best competition week in and week out. It’s that competitiveness that made him decide to concentrate on wrestling after playing just about every other sport, including baseball and football, as a kid. Before he graduates in June, Cook will likely pick among a list of Pennsylvania colleges to continue his athletic and academic career. Muhlenberg College, Elizabethtown College, Lycoming College and York College are among those that he’s considering. But on Valentine’s Day, on the eve of wrestling’s individual postseason, Cook was 33–0 and allowed himself to dream about finishing off his senior year at Burlington Township on the final Saturday of the wrestling season in Atlantic City.